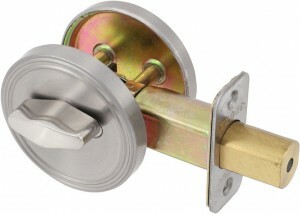 Do you want a state of the art security locks for your residential, commercial or industrial property? Do you want peace of mind, safe in the knowledge that you are protected by the very best and latest security locks around? Then you want Swift Locksmiths! At Swift locksmiths, we know how stressful it can be if you do not feel like you’re sufficiently protected, especially at night. That’s why we promise to deliver an outstanding, affordable solution even at night. Yes, that’s right. We can be at your side, within the hour, 24 hours a day. What’s more, we only bill you for the work we do. We don’t charge for quotes or call outs! 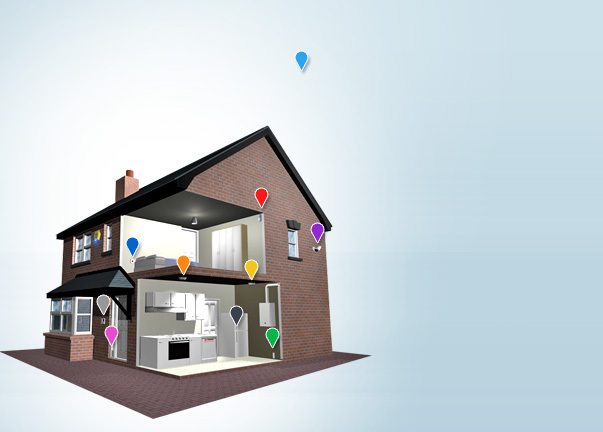 You need never pay an expensive emergency call out excess again! What can I do to keep my electronics safe from theft at home? The investments we make today in different types of gear and equipment, portable or for our home. Such as laptops, computers, TV’s, smart phones and more. Is higher than ever. Although the prices of electronics have dropped a lot in later years, these are still items of high value. Items which are highly likely to be stolen should there be a burglary in your house. There are many actions you can take, with little or no financial investment that you can take. Which will help you keep your electronics safe from theft at home, or when you are on the move. 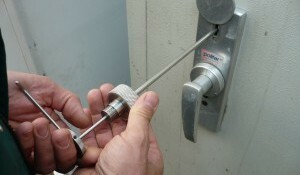 When at home, good security habits such as always keeping your portables locked away when not in use is recommended. If it’s items you use often and don’t want to spend the time packing them away each time you go out of the room. Our professionals recommend a lock for the device in question. 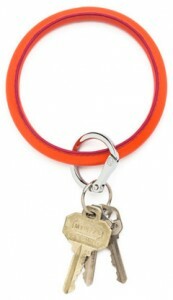 As an example, you can get a laptop lock, just like you would for your pushbike. It locks into place, often into a regular USB slot and comes with a reinforced wire so you can secure it to a larger item. Such as a table. Use good habits of placement for your phone and tablet. Out of sight from the window. Larger items such as TV’s, computer towers and other valuables which you cannot hide away are also best placed in your room in such a way that they are not seen from the outside. The best practice to take to heart when wanting to keep your electronics safe from theft at home. 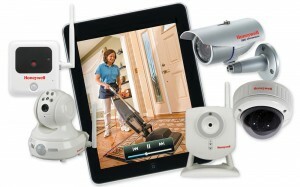 Is to ensure you have the right home security installed. That means correct and up to date locks. A burglar alarm system. And a set of good security habits in practice. Our comprehensive locksmith service covers all manner of lock issues, from broken keys in lock barrels, replacement locks after a break in, or simply upgrading from old cylinder locks to brand new, anti-snap locks for your security and peace of mind. We’ve got the tools and know how to carry out any job. We are a quality service provider, renowned all over the country for our incredible, friendly, low cost service. At Swift Locksmiths, your security, is OUR priority. Unlike other emergency locksmiths, Swift locksmiths are available 24 hours a day, so before you call any other garage, or emergency locksmith, try Swift us and see if we can beat your best quote! It’s our promise to you to provide the best possible service for the best possible price. Locked your keys in your car? Think a garage is the best place to go? Think again. Not only do most garages charge for call outs, they also charge individually for labour and parts. You should know that Swift Locksmiths NEVER charge for call outs, and we NEVER do any unnecessary work, meaning you save time AND money. Attention all students! The importance of keeping your items safe, out of line of sight and remembering to shut and lock windows and doors when not present is not something to be taken lightly. For many students the risk extends further than just the financial value the lost item holds, often things like coursework, media files, photos and much more. On top of that, the chance of finding a device or laptop after it’s been stolen is very slim, and finding it in a state where the data is retrievable is even less likely. Please take the advice of someone who knows, a burglar who is cooperating with the West Midlands Police to raise awareness and help students find good habits in keeping their equipment and devices safe. We aim to provide security advice which is applicable and that people can make use of in their homes and their everyday lives, as well as provide professional advice by industry experts on specific security scenarios. So should you ever have any thoughts around your own security for your home or for your business situation, please feel free to pick up the phone and get in touch with us today. The first thing that comes to mind when you ask someone with regards to security, is usually the association of how and what type of locks that are on the building. We see this as a very natural association, as well as seeing it as something that is logically also one of the most important. So of course one of the most important things which we see here as well, is that of making sure that you keep up to date with the locks on your doors and windows. 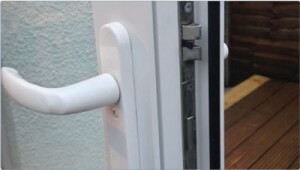 Currently there are many British homes in the UK vulnerable to attack, simply due to the fact that the lock which is used for the doors are old models and out of date which are substantially easier to bypass. To make sure you are up to date with your own locks, feel free to get in touch, and should you wish to get a new one installed, it’s quick and easy, and something that we are happy to arrange for at a time suiting to you. 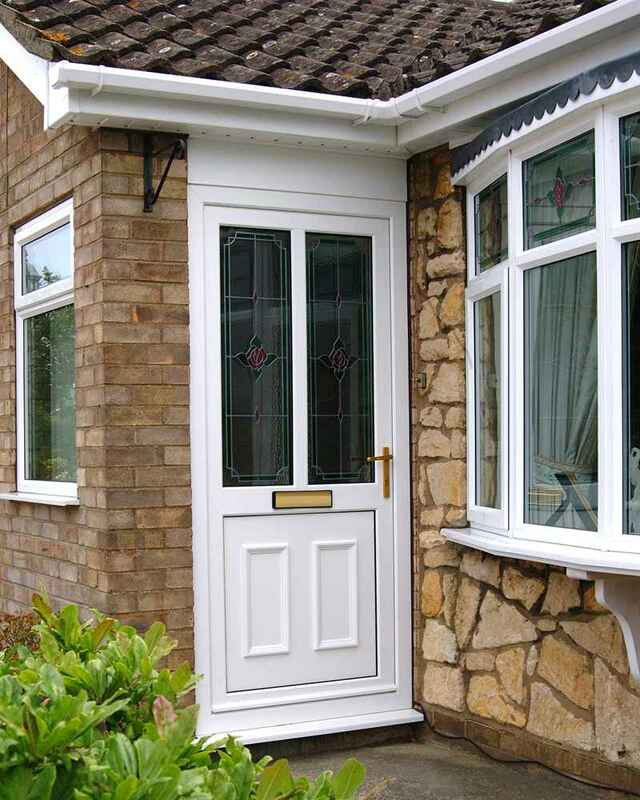 The second thing is with regards to UPVC doors. Something that we would like to raise awareness of is the opportunity to installing a deadbolt at the top of bottom of our UPVC door. 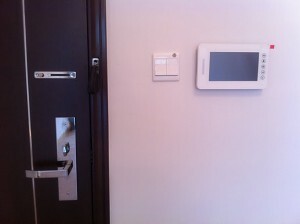 This will provide you with extra security when you’re not there, as well as keep you safer at night. This will hopefully also giving you peace to sleep well knowing that you are behind secure locked doors. 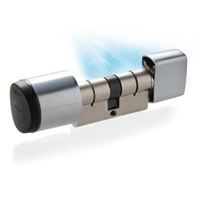 There are also other lockable products on the market, which are very useful and aim towards providing the highest security possible. Should you have any questions with regards to how we can help your security situation, and help you make sure that the locks on your doors are in line with the home insurance policy that you have. Please feel free to ask us on this if there is something unclear. If it had to be put down to one factor, what would be the most important thing for your security solution provider to ensure? For the team at a wonderful swift locksmith service there is only one answer called; attention. Here the team has undergone many years of training both though recognised organisation and training providers and though the job itself. There is of course no one single factor that makes a home or office building secure, however, if you get in touch with a team of locksmith service experts you would want them to give your security solution their full attention. And that is exactly what you are sure to get, if you come to one of the most hardworking and honorable service providers in the area. 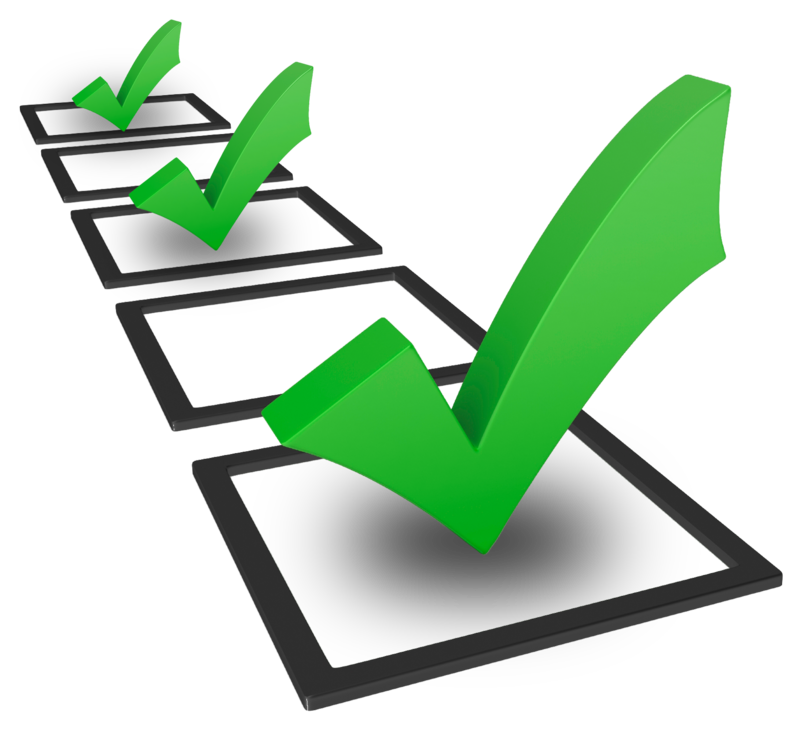 There is no need to take our word for it, you can make contact with any of our previous customers to have our diligence confirmed, and of course if you have any queries in mind, you can give us a call directly. A caring swift locksmith provider will always be there to take your call and we answer your questions happily with a broad base of knowledge about the industry as well as the current security market today. Attention to detail is something which is of course also needed, and with a locksmith service who takes personal responsibility and invests in each customer the time required to make sure all things are in order is one that has over time become well reputed and respectable on a bases of merit and skill. If you are interested in improving your home or office security situation, why not get in touch with this attentive swift locksmith service today and find out what can be done to bring you up the best possible level of protection. Today we don’t only live busy lives, but more often than not a household are also under some kind of financial strain. There are many outgoings, this especially true if you also have children. It’s hard to ensure that ends meet in a good way and that savings can be made in the appropriate way to ensure a good future for yourself and your family. This is something that your swift locksmiths service team empathises with greatly, and coupled with our firm belief that today, all homes need a good security situation, the team always aim to provide the best possible security solutions, at the best possible price. Affordability is a prime factor for your caring locksmith service team, as to ensure that homes which are worth a whole lifetime of work and effort don’t stand without protection against the threats which are common today. If this is the first thought you are giving your security situation at home, we recommend that you get in touch with the wonderful swift locksmith team at your closes convenience. By calling, you’ll not only find the answers to your questions, but you will also receive competitive quotes and great value for money products, which are up to date with security standards as they lay across the industry. And it cannot be emphasised enough just how important it is today to ensure that you have proper protection in place. Give your swift locksmith service team a call today, book in for a security inspection to find out where your most prominent risk areas are, as well as get informed to how you can best minimise risk in these areas, either by installing great security features or simply by making changes to your own routine at home. Your swift locksmith service knows that security thinking goes a long way, and we can help you to a good mind set on the matter as well. When it comes to your door security at home or at work, there is the traditional dead bolt which will always act as strong protection against attack. This especially important for the entrances to your house which may be hidden from sight from the street. Your swift locksmith service can of course aid you with quick installation of high quality dead bolts for any and all your doors should you require it, getting the job done is as fast as calling and arranging a time. For many thieves and potential burglars who may also be opportunistic in mind, will often turn at the sight of additional dead bolts on your door. 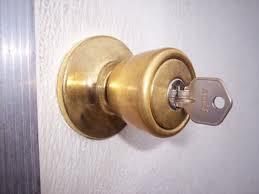 So ensuring you have multiple points of locking on your door, also acts as a strong deterrent in these cases. One that your locksmith service highly recommends as the simplest, most basic, but also very effective means of home protection. Speaking to an expert about which dead bolt look to have installed is always advice, and without fail your swift locksmith always ensures that installation are done without flaw. Perfect installation is required for the lock to retain maximum capacity to protect, and with only tried, tested and trusted lock brands in stock. Your dead bolts will be guaranteed up to the highest standard. Of course having extra bulky locks installed is only part of a vaster home security solution, and if you are wondering about how you can improve on your own situation. Call your swift locksmith service and find out how your home security situation can be improved and maintained. A point which is becoming more and more important to keep in mind in our increasingly busy day to day lives. Is one that your swift locksmith service would like to bring up today. Making sure that you don’t forget about your security at home or at work is something which is, through need becoming an integral part of your living. With increased risk comes a more pressing need for protection. Your caring locksmith service is not wanting to alarm anyone, however at the same time it’s important that we do not remain too naive in certain areas of our lives. In addition, today there are many security products and practices one can put into place to ensure that a safe and secure scenario is kept both in the environment we work, and in the environment where we live our home lives. Your swift locksmith service team sees just how much energy, time and money we invest in our homes for example, and see it ludicrous to not provide the proper protection for our own investments. If you are unsure of something, why not get in touch and ask an expert your questions. Security is something which your caring locksmith service team aims to make affordable and accessible though competitive pricing on up to date products from well-known manufacturers. 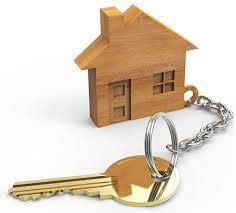 Keeping your home and your work place in a safe way, is the mission of this dedicated swift locksmith service. Feel free to get in touch at any time for any day to day service needs, as well as quotation on full security inspections, system maintenance and installations. A grate point to keep in mind in connection with home security related things, especially if you are new to thought on your own security situation is that of appearance. 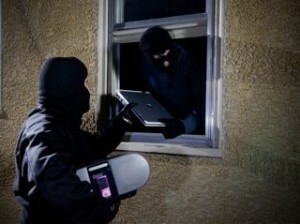 It’s a simple fact that any burglar who is searching for a target will choose the easiest target. This constitutes of both the risk of getting caught and the feeling of exposure. For example a dark garden with plenty of brushes to obstruct the view to neighbours and the street will be much more attractive from the thief’s point of view than a gravel walkway which is well lit and has an alarm panel on the front of the house. To a great degree, the risks you face at home can be minimise by simple actions with little time and energy investment Due to the fact that keeping a good security appearance from the outside plays a vital role in how likely your home is to get picked by a burglar. If you are unsure of where to start with all of this, please feel free to call your swift locksmith service team, we are happy to answer any questions on your mind. You could also book in for a security consultation with the trained team and find out how you can keep your home safe and secure, also on a budget. Keep in mind small things like good out door lights, proper locks and some thought in how you keep your valuables, your swift locksmith team knows can push your security status forward by a great degree. There are no good reasons to stay subject to unnecessary risks, especially when they can be reduced or removed by affordable means. Please call your swift locksmith service team today with your questions, and of course you can always get in touch if you are in need of any of our services. If there is anything that the team here is in agreement on, it’s the point that home security is something which is a right. Ensuring that you and your family feels safe at home can be done though speaking with a locksmith expert today. It’s not easy to keep up to date with the current news with regards to threats in your area, just as it’s not a simple task to ensure that you have the right type of applicable security systems and products installed at home. Your locksmith service knows that the wide sea of security products available today is enough to make anyone feel confused. This is of course why the services and products provided, are ones which stand the test and come from known, reliable and trusted sources. The brands we keep in stock for everything from the basic lock, up to the fully integrated home security system are thing which are guaranteed to keep you as safe and secure as can be. Your locksmith team is always working, scanning the industry market for the products which our customers need, and that from a basis of what is actually practical, efficient and of the highest possible standard in quality. Ensuring our customers are kept well protected is something we feel personal responsibility for, and in speaking to your locksmith service today, we will be able to find just the right home security solution for you. Your locksmith service knows that one of the main causes for worry and concern among small business owners is the security of their premises when it’s left unattended. This especially true for those who keep valuable computer and office equipment or valuable stock at their place of work. To ensure that you have the measures in place, keeping your valuables not under good physical protection, but which keeps you in line with your insurance policies as well as letting you rest without worries to the before mentioned, get in touch with a locksmiths who understands your needs. Each place of work is different, and the risks of each area vary greatly depending on a wide range of factors, something which can cause confusion if you are looking to instate a good security solution for you. By consulting a trusted locksmith service you will not only gain a good understanding of your own security situation, but also find the help you need to keep your premises secure to the highest level when you are not there to attend. Speaking with your locksmith service today is the first step to a situation which will keep your goods and your investments safe day, and night, regardless of your working hours, and of course if there is anything that you are wondering, you can bring your questions to a trained expert. For many home owners in the world of today, the point of security is something which often springs to mind. No doubt giving rise to countless number of worries and issues in relation to the subject, to the point where one may even suffer lack of sleep from it. Your swift locksmith service team is aware of the stress and anxiousness which can be associated with such thoughts, which is why we are here today to bring you some good advice on the matter. If you are new to the thought, perhaps as a new home owner, or perhaps as someone who has just been enlightened to the risks in your area though iridaceous experience though neighbours and friends, or any other reason, your locksmith service team is happy to help you off the starting line for some pointers. Home security as a single first thought can indeed be beckoning, and without expertise it can be difficult to know where to start. To help you get you the start needed, feel free to get in touch with your locksmith service for a home security survey. 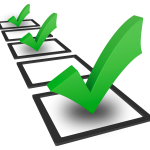 The most pressing points of your situation will no doubt be found during such a survey, and a trained professional will be able to help you with the next steps. If you are at home reading this, having found it though your own curiosity we would like to advise you of what we know to be the best starting point other than of course getting in touch directly. Simply taking some time to think about it, not worry, but actually give your problem solving mind some space to see where your security may be lacking by giving yourself the task of planning a premeditated break in of your own property. In going though such a process, your locksmith team are sure you will find some great insights, and of course with knowing your risks, you can start building up your protection against it. For any questions that you may have feel free to contact your locksmith service team at any time, and we’ll happily provide you with the answers you need. In the current dark times it’s important to ensure that adequate lighting is provided. Not only to keep the spirit high, and get comfortable inside, but also to ensure that you keep your security in tip top condition. What your locksmith service want to bring up again as a vital point of your home security, is the outdoor lighting that you are providing for your home. If you have yet to add light to the dark areas of your garden and the surrounding areas of your home, now is the time. It’s something which only requires a small financial investment which have a great deterring effect for burglars and thieves. Of course if you are looking to intrude you want to stay in the shadows, remain hidden and out of the light. So your swift locksmith service, offer this tip as something which will improve your security without great efforts required. If you get in touch with the trained and dedicated team here, we can help advice you to strategical placements for your outdoor lights, and of course also assist if you are interested in adding additional security features to your home. There are a range of affordable priced alarm and security systems in stock, ready to be installed, just as there are a range of up to date attack resistant locks in stock. Get in touch with your caring and smart, swift locksmith service team and have a chat about your lock and security situation today. And don’t forget, a high security solution is not something which has to be expensive, and relative to the value of your home and the safety of your family there are really only good reasons to give it some thought. Your swift locksmith service team aims to promote good thoughts with regards to keeping safe and secure, this now is an increasingly valuable resource which in essence will not cost you a penny. It’s a simple concept which can be summarised in short as ‘risk awareness’. It’s been stated by many great thinkers of the past that knowledge is power, and knowing what your primary risks are for your home or your business is the best way to effectively keep your defences in the place where they are needed the most. Good security thinking, is in many cases common sense, however it is of course extremely helpful to get in touch with your swift locksmith service team and book in for a security inspection. This will help get you started on the right foot, and ensure that some of the basic questions you may have are answered, leaving you to start building your security situation today. Now you may think that since you have lived in the same house or area your entire life without major issues that there is nothing to be concerned about, and in many cases this is true. However the world is at a constant turn, and in the current the risks that you are facing may be on the rise, leaving you exposed. Of course your locksmith team is not here to give you a fright, however some extra thought and awareness is something which can only be helpful, and we urge you to not take things for granted. If you have any questions, feel free to pick the phone up to us at any time, always happy to help with anything that you may wonder about. Your dedicated swift locksmith service team would like to bring you some advice on something which has been trending lately in and around the security industry. In the age of technology, which many call what we live in today, it is no wonder that there is also a full range of different security and monitoring systems out there available to purchase for the private person. If you are looking to make security improvements on your home however, your locksmith team would like to bring you some tips which can be useful. Firstly, when it comes to security and locking systems for your home which are based on internet connection or an external power source, these are at risk, simply due to the fact that these are things which can be fairly easy to cut out by a potential perpetrator. Although the gadgets may be of high quality, the fact that they are reliant on weaker points such as these to provide the protection claimed on the packaging. Simply said, your locksmith service team would recommend that one first gives attention to the actual physical protection put in place. This means simply having high quality and up to date lock mechanisms installed, placing priority on strong frames for doors and windows, simply making it difficult to enter the house without the keys. Of course the majority of security products out there work quite well, and if they are added as an extra feature of security to a home, this is of course only a good thing. But should you be after the best security you can provide you and your family for the price, it’s always advised to speak to an expert, one such as you can find if you give your swift locksmith service a call today. A swift locksmith service who is engaged with all parts of the industry and all things in relation to the essential point of your security is one which though dedication and hard work brings you the best of what there is to be had, as well as that which you need. In other words, this service is one which will be able to provide for all your home security needs, from the quickest and most basic requirements to the high level of complexity which encompasses a great over all security solution. Your swift locksmith service team are here for you, should you simply have forgotten your keys on the wrongs side of the door, or should you require a full security inspection and full security evaluation of your property or business premises. It’s been stated in various contexts that to understand the complex, one must be able to understand the simplicity which is each part of the whole. And for a locksmith team who is engaged and active with all parts of the job, no matter what it is, you can be guaranteed to find just that here. Come to an expert who knows with all your questions and inquiries, and find all you need to keep protected and to feel safe. The society today is surely one that calls for a locksmith service who is quick, professional and above all wise on the matters of providing protection and individualised security solutions. The access you require, the advice you need and the installations you want to have done are all to be had here from a team who is with the market, with you and with the continuous developments that are occurring. Call now with your questions. From your swift locksmith service, a warning goes out to you who have not given much thought your home security. The current time is one of high risk if you look at the yearly cycle, and the team here would like to inform, and bring your attention to the fact that risk goes up with the Christmas season. Now, as we are entering into December, homes across the country is filling up with presents, as families are planning a great Christmas holiday with presents and festivities. This is something which of course does not go unnoticed by opportunistic thieves. For your locksmith service team, this is the ample time to ensure that your home security is up to scratch, and that your house is well defended against this growing threat. Security is not only in placing the right security measures in place, but also in the actions of those who life in a home. If you get in touch with your swift locksmith service team, you can speak to an expert about what type of routines and habits which are good to keep in mind. 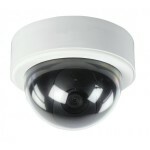 As well as discuss the security situation at your house. If you are going to friends and family for the holiday, ensuring security at your home which may be left empty for several days becomes even more vitally important. Plus, with a great and caring swift locksmiths service you will find affordable security solutions which are suited to your situation, you home and your budget, so don’t hesitate to give us a call today. And remember, also good to keep in mind over the holiday, in case of emergency lock out, you can call on your favourite swift locksmith team at any time! As part of bringing you the latest, giving you tips and trick on your home security as well as ensuring that you always have a locksmith service at hand when you need one we always make sure that our telephones are manned. This simply means that you always have someone to call, should it be in your emergency lockout situation, for your lock repairs or installation, for your security needs or simply to get your security and lock questions answered. 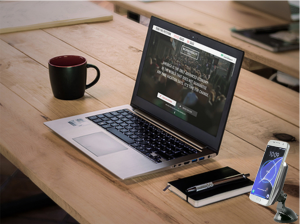 The team is always ready and available to take your call, and if you have a question, don’t hesitate to get in touch and put your mind to rest in consulting with an expert in the field. Having a locksmith service which you can rely on and trust at the end of the line simply means that you can leave your security concerns and worries in experienced hands. And of course if there is any of the wide range of service we provide that you need, you can book in for an appointment at your next available and suited time. We believe that each individual who is responsible for a property should be able to sleep tight at night, without worries over their safety and security. And if you are unsure, the best way to do so, is to speak with a long running and trusted expert in the field. Your locksmith service team is here, ready to provide any service that you are in need, and happy to answer any of your security questions. So no need to keep worrying, get in touch today, and ensure that your mind can rest at ease at night. 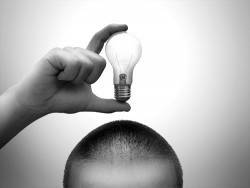 To think in secure ways is not as massive a task as it may seem the first time this type of term is brought to mind. Like with most things, it’s a matter of keeping small things in mind, and just reminding yourself of the good practices that you can employ at home to ensure that your home is always working for a better and safer environment for your family. If you are in need of security tips which are good to keep in mind, please don’t hold hesitation in getting in touch with your locksmith security experts. Here we are always happy to share advice and methods which we know work to instate good security practices. We have seen enough situations and enough scenarios to know what the most common downfalls there are in the simple practices of home security. 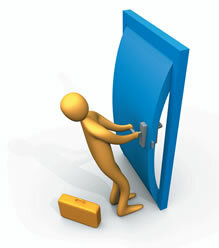 You are also of course welcome to keep in tune with your locksmith security tips which are posted here. We bring you information on good security practices, and let you know the most important and vital reminders to keeping yourself secure. 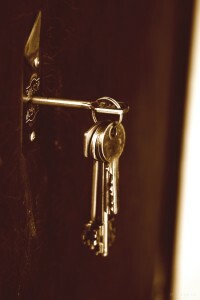 If you are after specific advice for your property, you can always book in for a locksmith security survey at home, or at work, in which we will not only discuss good security practices for your specific needs, but also bring to discussion the areas of greatest risk which you and your property faces. There are not any good reasons to stay in the dark when it comes to questions you may have that relates to the security of yourself and your family, so get in touch today to make sure that your standard is not below what is recommended by the current experts. Give your locksmith service a call today, and let us help put light on the issues that your property may be facing, issues which may have simple and easy solutions based in every day awareness and small actions for a secure home. Finding a safe and secure way to keep your home is as we see it here, one of the top priorities of any home owner. Not speaking only of the protection of your loved belongings but also for the people you hold dearest. Home security is currently something which is becoming increasingly important to keep in mind as the risk profiles for many areas are on the rise. However, with a few things in mind you’ll be able to keep yourself as secure as can be at home. And if you come to an expert in the field such as your locksmith service for advice, you will soon find that it’s not something which has to cost an arm and a leg. Speaking about home security there are a few factors which are highly relevant to your locksmith team, firstly, home security does not just consist of a suiting alarm system, but also of good lights, deter potential burglars via good garden planning, ensuring up to date locks are installed, and that you have all your entrance points covered. Your locksmith would call a good home security solution, one which provides you with several lines of defence against possible intrusion. If you would like to know more about home security, and how you can apply it on your property, please don’t hesitate to get in touch with your friendly and experienced locksmith service today. Here we can aid with all things from advice for your particular area and property, as well as help you with choosing products good for your situation as well as your budget. 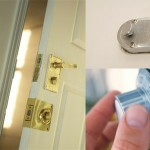 And of course, any installation work that you may require, can be performed to perfect standards by your locksmith team. The summer has arrived and as the sun is making its appearance it’s easy to understand that we can’t wait to get out into the sunshine! This is something your swift locksmith service team is highly understanding of and we are thankful for the great blessing of warm weather and sunshine. 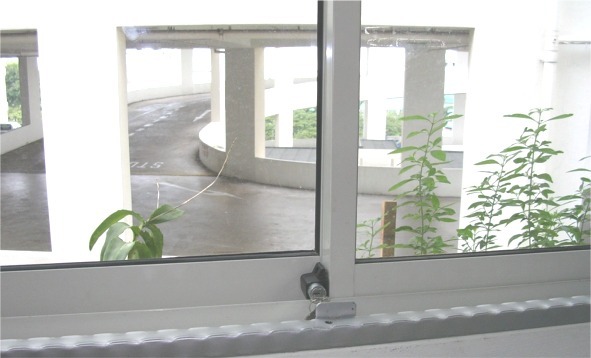 However, what we as a trusted locksmith service also would like to put attention to, is that due to the heat more windows are also generally opened in homes. Windows which we remember to close most of the time, but would like to ensure that we close all the time. Here are the tips which the locksmith service team would like to bring up to help you remember to close and lock the windows before you leave your home to go out and enjoy the sun, and help protect the security of your home, as well as keep temptation for potential burglars down to a minimum. 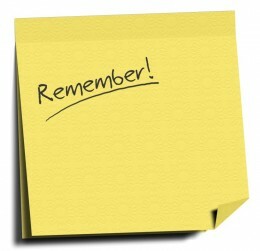 Our top tip is to put a little note on the door which you use to exit your home. Just about eye height is about right, something that will most definitely be in your line of sight when you are collecting your picnic items in a hurry to get outside! If this is something that would disturb your view, another idea is to place a little notice where you put your keys for the door as this is something you will most likely also always have a glance at on your way out. Another tip that the locksmith team agrees is a good idea, is to, should you open a window, set a little alarm or reminder on your phone for a time in the near future, or a calculated time before you have arranged to meet with your friend in the park to catch some of those lovely rays. These are small easy tips from the locksmith team which cost you nothing, but could save you a mountain of trouble. If you have any questions, or need any of the services available here, please don’t hesitate to get in touch and discuss your requirements with us today! Something which the team here places high value on when it comes keeping the level of you security at home or for your company at a high standard is always making sure that you are informed. This is something which your locksmith team can help you with, on this point we are always alert, and aware of what is happening. Not only on the industry market in form of development on the defence part, but also making sure that we know what threats are currently at their peak, and what methods of intrusion are common to what scenarios. So no matter where you are in the area, if you’re with us, you’ll always be up to date with the latest news. This way you can always make relevant choices for your current security situation, and with advisors who are regularly trained and always keeping eyes open for any movement with regards to the security industry we can help you find the best continuous solutions for you. So give your London security expert a call today, bringing your questions and concerns to us will leave your security in experienced hands. Of course your locksmith service does not only keep your home or your business as safe and secure as possible, we are always here to help with anything else you may require in your day to day needs as well as to cover any emergency lockout services required. 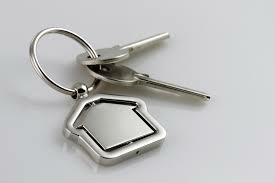 So ensure your security with a reliable locksmith service who is happy to help at any time with any requirements. For a London service with experienced eyes, we are often encountered with security situations which are not to the standards which the current state of the society dictates. Simply saying that many UK homes today do not have the security means or practices in place to ensure that their home is as safe or as protected as the reasonably should be. This is why a swift locksmith service would like to recommend that you just take a moment out of your day, perhaps today, to give thought to your own home security. Many security threats can be eliminated simply by keeping a good and sensible security way of being in mind, keeping good habits such as always closing windows when you leave the room and never leaving doors unlocked, even when you are at home. Although it’s much less common to have an unwarranted entry to your home if you are at home, it’s not unheard of, and on top of that it will help keep just that routine in place, so that you don’t forget to lock it when you leave the house. Please keep in tune here for more good tips and reminder of good security methods and practices from a London service that cares. And should you have any wonders, please give the helpful team here a call, we’re always happy to answer any of your security questions. Currently there are many discussions on how to best provide security for your home, how to best protect against current threats applicable to you, and how to make sure that safety for you and your family is put in place to the highest standards. After all, any locksmith service would agree that this is the main and key reason for home security to be put into place. Ensuring the safety of your loved ones, is something that is understandably the highest priority, and speaking to a locksmiths provider who you can trust, will ensure that you can sleep tight at night. Simply knowing that security is in place for you and your family. 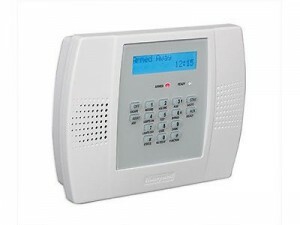 It may be easy to mistake home security for something which is pinned down to one factor, such as a home alarm system, and we would always recommend an alarm and notification system at home for anyone, there are several other factors and elements which may be needed for a complete security solution for you. Of course what is required is often dependent on the area and the surrounding areas your property is located in, as well as the risks your particular property is facing. This is why it’s important you speak to a locksmith provider who has the training and experience needed to identify security threats, and of course you can also give us a call with any other type of home or office security related questions. A multi layered security system, which a locksmiths service can help you get installed, most commonly includes a home security alarm system which suits your needs, making sure that you have good outdoor lights and protection, also including your outside areas and garden structures, as well as making sure that a number of effective deterrents are also put in place. Something that we are well aware of here is the large amount of stress which an unfortunate lockout emergency can cause. Should disaster hit, and you are in need of a 24 hour available locksmith emergency lockout service provider, there is no need to distress as you can always get in touch with our professional team who will be with you before you know it. Although emergencies and catastrophes happen, as clever and intuitive, not to mention practical creatures, there are ways in which we can put measures into place. Measures which can aid in the prevention of this type of potentially highly stressful situations, and save you much trouble in the future. The points which this locksmith security tip giver would like to bring up, is the importance of habit and the importance of foreseeing a scenario in which you may find yourself locked out. The first out of the two is something you do in your day to day routine, and finding, and keeping good spots for your keys which are made routine will lessen the risk of losing your keys. And that not even mentioning the time a busy person will save not having to search for keys. The second point is about preparation. If someone told you that you will be without keys a particular day next week, it’s very likely that you would plan for it and make arrangements for key swapping and such to take place in a good and workable manner. The best locksmith provider tip we’ve heard for keeping well prepared for a situation as such, is simply to leave and keep spare keys with trust worthy and geographically reachable persons should an emergency arise. Finding the best possible security solution at home is not always easy, and that is why the Swift locksmiths are always happy to help and give you the advice needed for your property. Today we would like to give you a tip of a home security method that is tried and tested as one of the most efficient methods, especially for the cost and the maintenance required. We are speaking of home surveillance, or in this case, pretend home surveillance. 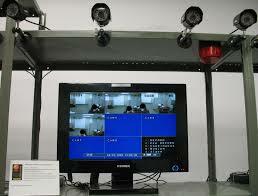 By this we are referring to the use of fake, but believable home security monitoring equipment. 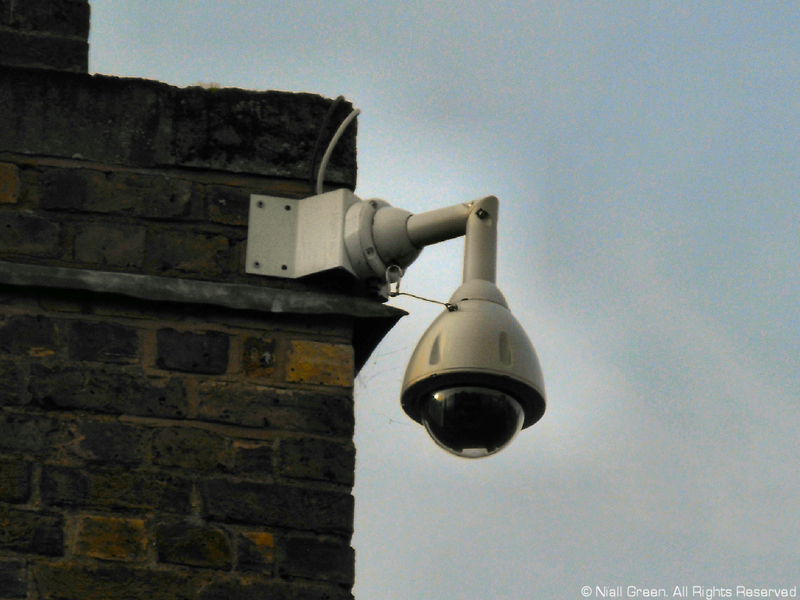 This London security expert knows that there are many fake surveillance products on the market providing a very realistic look, which in the vast majority of cases will turn any potential burglars eyes away from your home. And this at a fraction of the cost, including the cost in the energy and time it would take to make use of a real security monitoring system. We would recommend to always buy this from a provider or somewhere which gives you the ability to have a look at the product ensuring that it looks authentic, and if you require help and advice on what to get, please feel free to speak to the swift locksmith service who are experienced in the area and will no doubt be able to send you in the right direction with this. Please keep checking in here as well for more great home security tips which you can at low costs implement at home. In our security blog we have brought up many home tips and tricks which you can use. 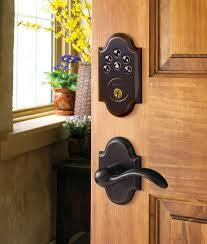 And with small changes or small investments you can greatly improve the security rating of your home. Today we would like to step away a little bit from that subject, and bring it back to people, thought and common sense. 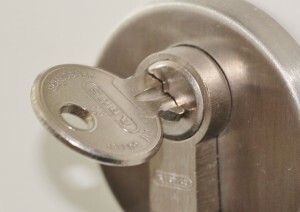 As a Swift Locksmith service, we often see many things which go against logic when it comes to home security, careless handling of keys, forgetting or not bothering to close windows and doors, and not giving thought to the outside areas and outside security of a home are things which are more common than one would initially think. This is why we today would like to recommend for anyone to have a little look at their own routines and perhaps have a little think about what you are doing in your day to day, which may be changed without issue that would help your security situation. If you need any pointers on what to do from a locksmith, you can give us a call and ask any of our dedicated team for advice on what type of routines may be good for you in your own security situation to try and make a habit. Ask any locksmith and you’ll find that we all agree that home security here in the UK is something that we need to raise awareness about. We see that there are many homes that lack proper protection, and often it’s not due to the fact that making sure that the security is up to date is too expensive. But simply due to the fact that people are unaware of the risks and the often simple methods in which they can battle and lower these risks. As a first step, we recommend that anyone get in touch with a locksmith service provider and have a security survey performed by a trained professional with the eyes to identify correctly the existing threats at the property in question. Should you require a home security inspection, you can book one in with us, please feel free to give us a call at any time. With flexibility we can fit the time to suit your day, and with dedication we can help you find the best possible security solution for your home. So make sure that you read up on what is required in the current day and age to keep your home and your belongings safe, and should you have any questions or need a locksmith service, please give us a call. We are always ready and happy to help answer your questions. 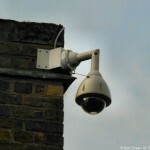 One of the most efficient methods of keeping your home secure which we as a London security service agrees with, is that of keeping a security guard. Of course we are speaking here, of the creature also known as man’s best friend. With a hyper sensitive sense of smell a dog makes the perfect intruder alarm, and intruder protection. However, of course keeping a good level of security at home is not enough reason to keep a dog. Even for a locksmith security expert keeping a dog just for the purpose of guarding your home is not a good enough reason. After all, a dog is a creature which requires much love, care and also comes with a great responsibility which is placed on the owner. A dog on the premises is a very strong deterring factor for many burglars, and would most likely turn the attention away from your home as a target. But as mentioned, not everyone would like to get a dog, this is why we as a London security provider instead recommends that you pretend you have a companion and guard at home. 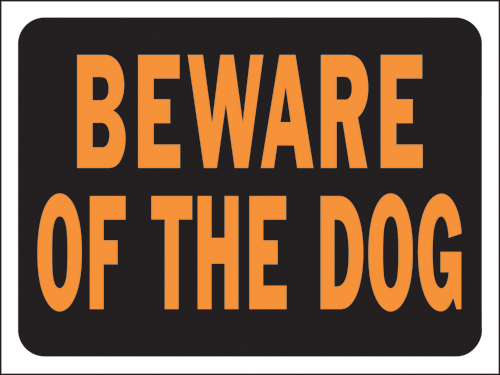 Putting up signs warning for the dog, and perhaps purchase a realistic sounding barking dog alarm which is triggered by motion sensors outside the door is a great idea. This way, you will be able to avoid any opportunistic thieves who look may have seen your property as a potential target if it wasn’t for the risk of the home having a private security guard and a beware of the dog sign in the window. 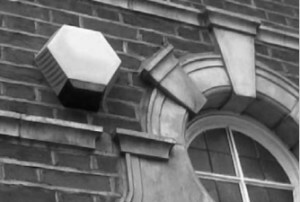 To get in touch with a London security supplier for more tips and advice on your home security, please feel free to give us a ring, our team are happy to help and share information as well as answer your questions with regards to how you can keep your home safe from potential thieves and burglars. With new technology comes also what seems more and more like a sci-fi home. Something that many are considering these days is that of installing a locking system at home which does not feature a key. 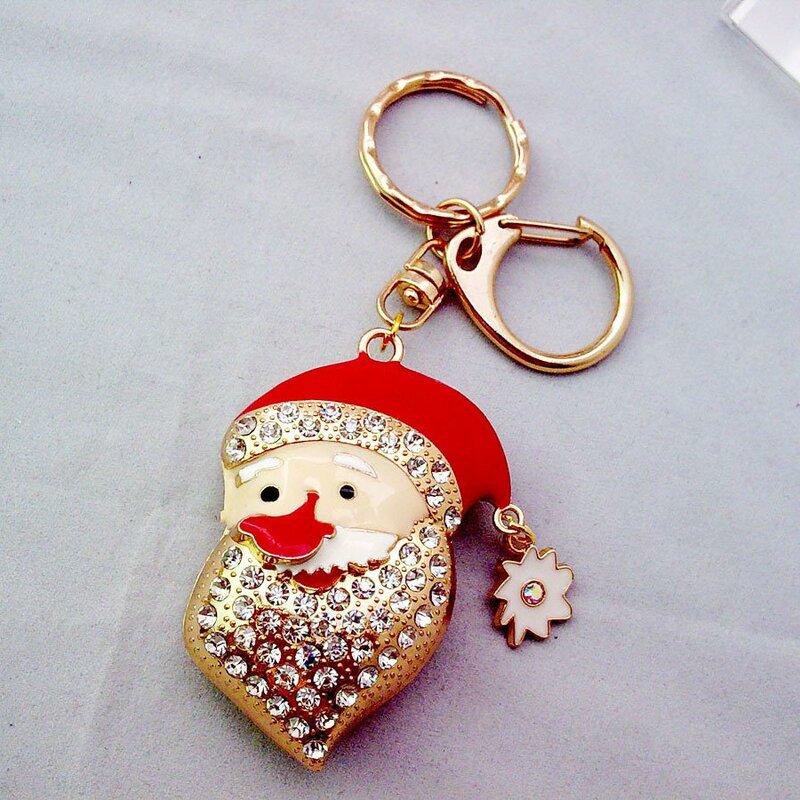 We understand that it can be very annoying and highly frustrating to look for your keys in your purse or the multitude of pockets, which seem to multiply as the weather gets colder and the layers to keep warm becomes higher in numbers. The team can see the reverse scenario just as stressful. Finding yourself at home in a rush and in search of your keys seemingly without much luck can be unnerving and as these type of scenarios often seem to crop up at the worst possible times it amplifies the stress of the situation. Using a key-less system at home is something that would extinguish these type of scenarios, however even if it can be of great benefit. We also think another positive with a key-less entry system is that many of this type of systems come with the feature of being able to remotely unlock your door, so should you be coming home with a car full of shopping and no extra hands spare to help you out, this utility can be highly convenient and practical. There are many benefits to a key-less system, there are also some negatives, so we would also like to bring up some of the cons of this type of convenience. The first thing a swift locksmith professional would like to bring to attention, is that of in emergency cases. Handling electronic equipment is not always the easiest in a pressured situation, and it can be easy to become flustered and press the numbers correctly without fumbling on the key panel. At extreme times it can even be difficult to remember the correct code. Something that many we hear often as a concern to keyless systems as well, is that the code could be guessed by an intruder. And we see this as true, we also don’t see it as the major disadvantage as it is highly unlikely to happen as long as you make sure you don’t choose a code which is easy to guess, based on birthdays, old addresses and phone number etc. 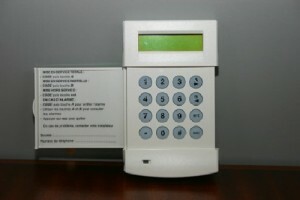 What we instead would like to place emphasis on here is the know issues that many of these type of systems have in case of power failures, and although some systems come with their own backup power reserve, there is still a chance that you may lose access to your home which wouldn’t be the case with regular lock and key. Lastly, although the locksmith team have nothing against keyless solutions, we do see that although the convenience is high and in the ideal situation this type of solution would work well. The price of a keyless systems weighs out the benefits of it, and if you are looking for the best security solution on a budget, it would not be our first recommendation. When thinking about how you would best protect yourself from a potential burglary, the first thing that naturally comes to mind is the entry points, and how the perpetrator will make their way in and out of your property. This is common sense, and the locksmith service will also encourage you to get into the routine of giving your entry points at home some extra attention every now and again. Checking that all your locks, on doors and windows around you home is something that doesn’t take long, and something which should be done regularly to ensure there has been no changes in your situation. Secondly, it’s important that you ensure that the locks on your doors are of the standard they need to be in order to provide sufficient protection against current threats. If you have not had your locks changed for several years it may be time, and getting in touch with your trusted swift locksmith service will not only help you ensure that all your locks are up to scratch, but also provide you with the replacements and the installation work that you need. Keeping with the current news to give our customers protection of the highest and most up to date standards is a given for your reliable and friendly swift locksmith team. And in coming to a trained and experienced expert with your inquiry will also mean that as far as locks goes, you will have what you need to be as safe and secure as can be. Should you wish to book in and borrow the trained eyes of a locksmith service provider, you can call and do so immediately. A home security check is fast, easy and can be done when it suits you. And of course it will leave your home more secure and your family safer. If you are one to have spent much time in worries and deep thought about your security at home, a locksmith service is here to tell you there is no reason to worry. However there is ample reason to be aware. If you are getting a headache thinking about security risks, why not eliminate this stress from your life and get in touch with an expert who knows. Just speaking to someone with experience within the industry will help you past the first hurdle. Your swift locksmith service team would like to remove the worry of the situation and replace it with proactive awareness. Giving thought to how you can best protect yourself rather than worry about the potential loss you will face should your protection not be sufficient. Reacting to the security threats you may be facing with a proactive approach is what your swift locksmith service team suggests, and of course help and guidance on the way is something that you can always find with our bright team of proactive thinkers. With a great result of happy and satisfied customers, you can rest assured that if you come to a swift locksmith service who always works for preventing a disastrous scenario will do all that can be done to protect your home or your business in the most applicable, effective and forward thinking way. Of course the caring team is also there for you should you require emergency help, and your day to day services are quick and simple to get out of the way with a professional locksmith service team. So the advice of the day is to rather than worry about things, take action in the best way possible, get in touch and let an expert help you to a calmer and more secure state of daily affairs and existence. What’s more, and where possible, we can provide a locksmith to get to you within the hour or as quick as 10 minutes in some cases. We’ve never come across a job we weren’t able to tackle, it doesn’t matter what the job is, how big or complex, we’ve got the experience and know how, as well as access to and use of the latest security technology, to ensure we get the job done to the highest and most secure standard possible. Snapped your key in the lock barrel? Don’t panic just yet! We can STILL get you in, and you needn’t worry about damage to your property either, we always use non destructive entry methods first, because we have respect for your property, just the same as you do. So whether it’s an emergency or you’re just considering an upgrade in security, before you do ANYTHING else, dial now for the affordable quality you can trust. Call Swift Locksmiths now. One of the most common inquiries that are gotten today in the whole of the industry is that of regaining access which has been lost. Your swift locksmith service knows that in the majority of the cases they keys have been misplaced, lost or stolen, and in many cases the lock needs to be replaced to ensure the security of the building is kept intact. Should you require access, of course with a 24 hour locksmith service you will be inside again without any delay, and the emergency response here is both ready and swift to action. Keeping our contact detail may be a good back up, as should catastrophe strike you will always have someone to call on. However one of the best method know when it comes to keeping track of where your keys are, is to make a specific place for them. For instance, at home always leave the in the same place, hidden from plain view, but in a place where they are easy and quick to put down as well as retrieve. The same goes for your bag or if you are without one, the left pocket will also serve the same purpose. What a locksmith service is getting at here, is the power of routine, automatic actions which happen regardless of where our mind might be wandering. Whist your thoughts are off trouble shooting a different problem, planning something or simply resting, your body will put the keys where they usually go. Meaning that when you have in an absent minded way put them down, they will the vast majority of the time also be found there. Please keep tuned for more tips from your expert swift locksmith provider, and if you do land in that emergency scenario, don’t hesitate to get in touch and help will be on the way immediately.